Spend only black and/or red mana on X. 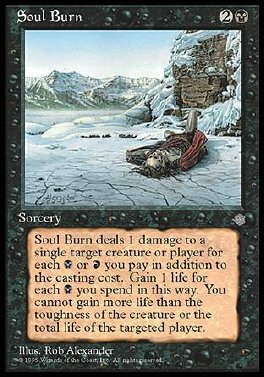 Soul Burn deals X damage to target creature or player. You gain life equal to the damage dealt, but not more than the amount of B spent on X, the player's life total before Soul Burn dealt damage, or the creature's toughness.